*Professional and naturally lit photos are strongly preferred for best results. *Please make sure images show current hair color. The ultimate Color Guru experience, Color Radiance Premium includes a LIVE video chat with Jeannie, Founder of Color Guru. Jeannie will personally review your color test results, answer your questions, and show you the Secret Color Guru Pinterest Celebrity Pages (celebs of your season wearing your colors!). Wardrobe Color Reports, digital and laminated Color Cards, plus a super soft pashmina round out this abundant color package! Color tests we’ve performed on your photos. Seasonal Palette: your best 35 shades. Helpful tips for your seasonal type. Digital color card for your phone, via email. Digital makeup card for your phone, via email. Laminated color purse card, via usps. Laminated makeup purse card, via usps. A 1 hour LIVE video chat and Q&A. Thorough review of your color test results. Secret Pinterest pages to show you celebrities with your coloring, wearing your colors! A silk-cashmere pashmina in a color hand selected for you by Jeannie. Our most popular package! Plus gives you everything you need to have a solid base for understanding your wardrobe and makeup color palettes! You will review your personal color report and digital color and makeup cards during your live Q&A video chat with Jeannie, founder of Color Guru. You can expect your laminated color and makeup cards via USPS within 7-10 business days. Helpful shopping tips for your seasonal type. A 25 minute LIVE video chat and Q&A with Jeannie. * Schedule your live video chat at checkout. Our most popular package! Plus gives you everything you need to have a solid base for understanding your wardrobe color palette! You will review your personal color report and digital card during your live Q&A video chat with Jeannie, founder of Color Guru. You can expect your laminated card via USPS within 7-10 business days. Want your very best wardrobe and makeup colors as quickly as possible? 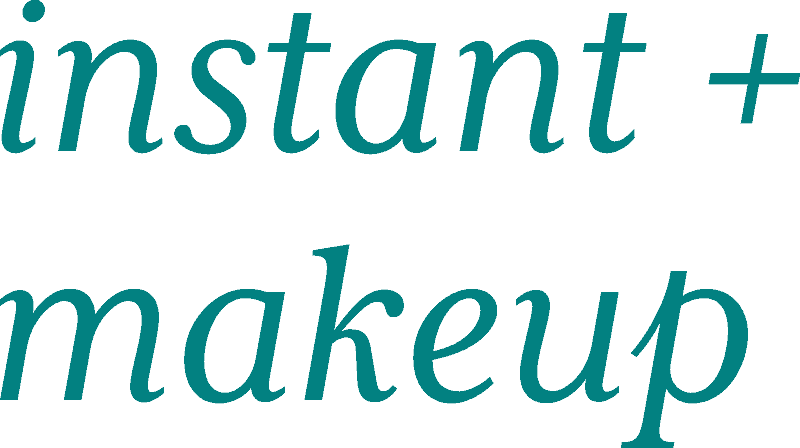 The Instant + Makeup is for you! Fast turn around and digital color cards emailed to you within 2 business days. *Please note that laminated color cards can be added to your order at checkout. * Add optional laminated cards at check out. Want your very best wardrobe colors as quickly as possible? The Instant is for you! Fast turn around, digital report, and digital color cards emailed to you within 2 business days. *Please note that laminated color card can be added to your order at checkout. *Add optional laminated card at check out.